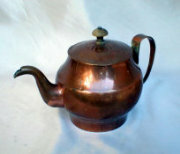 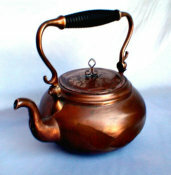 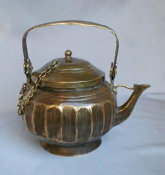 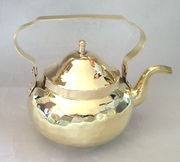 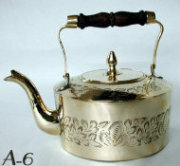 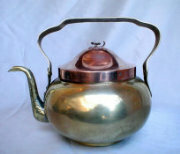 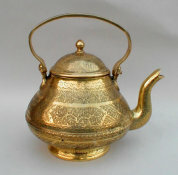 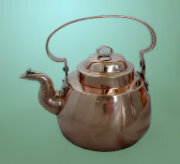 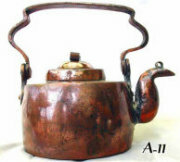 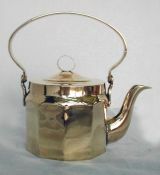 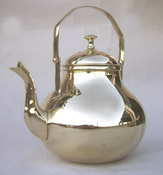 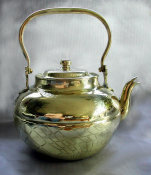 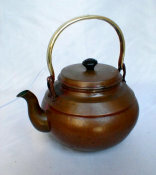 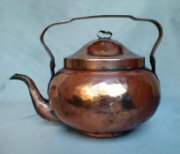 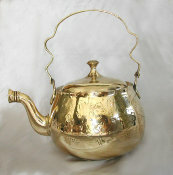 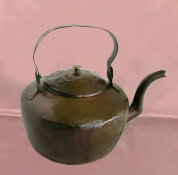 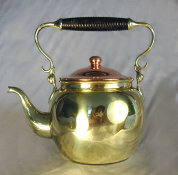 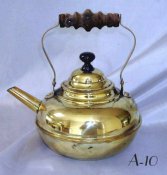 Beautiful globe shaped Antique brass Samovar teapot with folding bale handle. 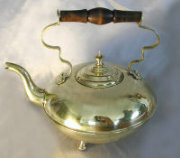 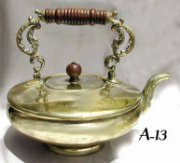 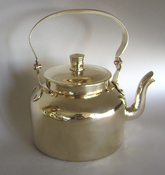 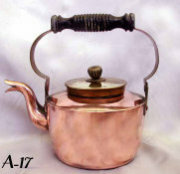 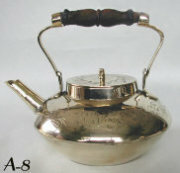 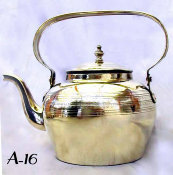 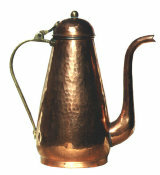 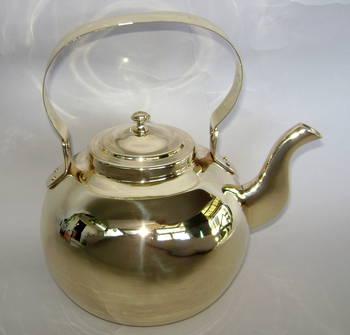 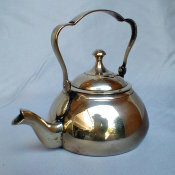 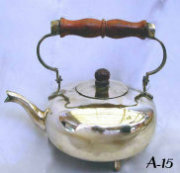 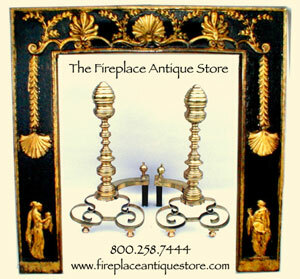 Fits large Samovars with a crown ID (inside diamter) of 4.75" or larger. 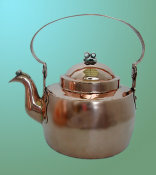 Dimensions: HT: 7" to top of lid finial, 10" to top of upright handle. 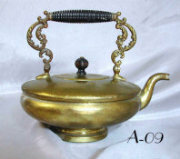 W: 10"